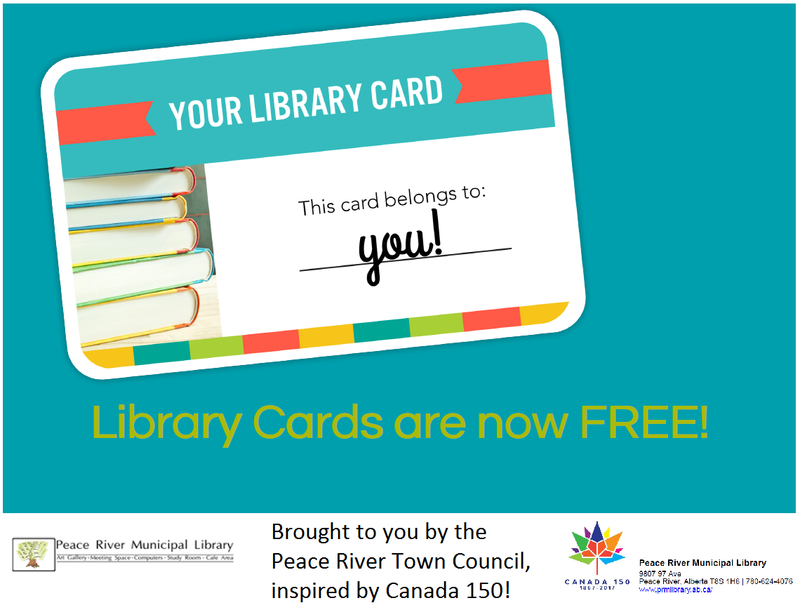 Library cards are free starting this year and to celebrate we’re challenging EVERYONE in Peace River to read 150K words. Roughly speaking 150,000 words is about 300 – 500 pages, or three to four books, if 150K doesn’t seem like enough of a challenge, simply add a zero. All reading counts though we encourage books about Canada, Canada’s history, Indigenous history, Indigenous culture or books by Canadian authors or about Canadian experiences. Get your card and get reading!